The Government of Hong Kong has introduced a `capital investment scheme` granting `Hong Kong Residency Visa (Hong Kong Investor Residence)` to foreign nationals, who make a substantial contribution to the economy and development of Hong Kong. The Capital Investment Entrant Scheme(Hong Kong Investor Residence) is designed for individuals desirous of a Permanent Resident of Hong Kong by making a capital investment in Hong Kong. 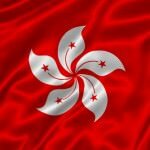 The applicant is entitled to reside in Hong Kong in lieu of making an investment in prescribed permissible assets without establishing or becoming a part of a business in the city-state. Shares of listed companies that are traded in Hong Kong dollars. Debt instruments and bonds denominated in Hong Kong dollars. These include fixed/floating rate instruments issued or guaranteed by specified authorities and government agencies. Certificates of Deposits that are denominated in Hong Kong dollars and are issued by authorized institutions as defined by law. The applicant should purchase after receiving the approval in principle. The instruments should have a remaining term to maturity of not less than 12 months at time of purchase. Such instruments, upon maturity, should be replaced by Certificate of Deposits with a remaining term to maturity of not less than 12 months or by other permissible assets. HD dollar denominated subordinated debt issued by authorized institutions complying with prescribed provisions of law. The applicant need not top up the value of investment if it falls below the prescribed minimum level. The applicant is not permitted to withdraw any capital gains resulting from increase of market value of the investment above the prescribed levels. Cash dividend and interest income can be retained by the applicant. Applicant can swath investments from one permissible asset to another as long as the entire proceeds of the sale are invested.